2016 Outreach Michael Juneau, Jr.
2012 Outstanding Civil Engineer Chris Knotts, P.E. 2012 Outstanding Young Civil Engineer Sam Amoroso, Ph.D, P.E. 2012 Lifetime Achievement Award Larry McKee, P.E. 2012 Outreach Award Ann Trappey, P.E. 2009 Outstanding Civil Engineer Charles L. Eustis, P.E. 2009 Outstanding Young Civil Engineer Russell J. “Joey” Coco, Jr., P.E. 2009 Outstanding Government Civil Engineer Paul B. Fossier, Jr., P.E. 2009 Outstanding Young Government Civil Engineer Dain Gillen, P.E. 2009 Lifetime Achievement Award Charles W. Hair, Jr., P.E. 2009 Educator of the Year Award Roger K. Seals, Ph.D., P.E. 2009 Outreach Award Jeffrey L. Duplantis, P.E. 2009 Wall of Fame Gordon P. Boutwell, Ph.D., P.E. 2008 Outstanding Civil Engineer Billy Prokaska, P.E. 2008 Outstanding Young Civil Engineer Adam Smith, P.E. 2008 Outstanding Government Civil Engineer Kim Garlington, P.E. 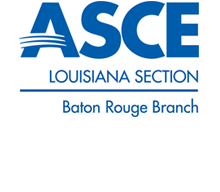 2008 Outstanding Young Government Civil Engineer Rudolph A. Simoneaux, III, E.I. 2008 Lifetime Achievement Award Gordon P. Boutwell, Ph.D., P.E. 2008 Educator of the Year Award George Voyiadjis, Ph.D, P.E. 2008 Outreach Award Jeffrey L. Duplantis, P.E. 2008 Wall of Fame C. Carter Brown, P.E.